budget friendly — Pencil & Paper Co. I love to have something "living" in the kitchen...typically fresh flowers! But, since we are in the process of building a new home, I am trying to tighten the budget and cut the "non essentials"! Weekly flowers must go!!! 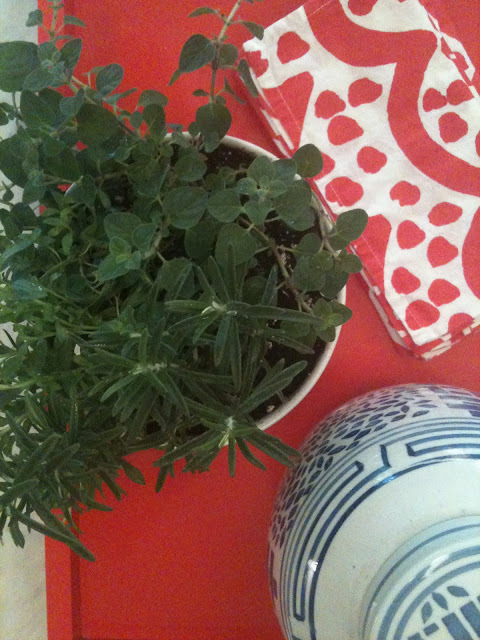 .......So I sure was thrilled to spot this sweet little "herb plant" at Trader Joe's yesterday for $7.99! I am excited to have something green again in the kitchen, plus it is useful, and (hopefully) won't die in a week!! !